Jean McBride, 92, a resident of the Glen at Willow Valley, died at the home on Friday, April 26, 2013. She was the wife of the late George H. McBride who died in 2010. Jean had been employed by the Vishay Resistive Systems Company in Malvern for many years. Jean was a member of the First Presbyterian Church in Lancaster. She enjoyed swimming, traveling, reading and square dancing. She was the last of her family. 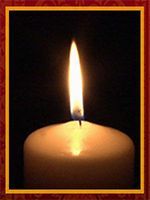 A memorial Service will be held on Friday, May 3, 2013 at 11:00 A.M. in the Johnson Auditorium at Willow Valley Manor North, 600 Willow Valley Square, Lancaster, PA with the Rev. Geoff Kohler officiating . Interment will be private in Conestoga Memorial Park, Lancaster, PA. In lieu of flowers, contributions in Mrs. McBride’s memory may be made to First Presbyterian Church, 140 E. Orange St., Lancaster, PA 17602.